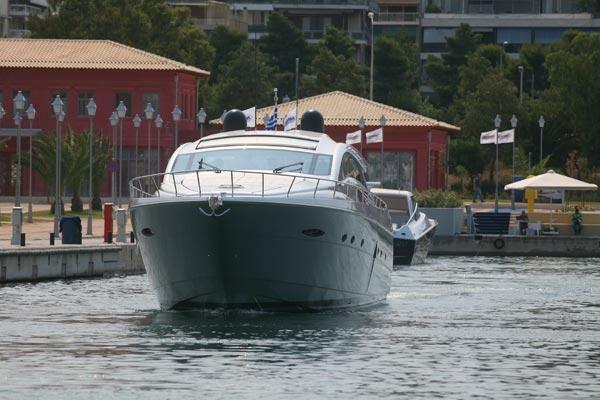 Peregrinations is hull #7 of the Nordhavn 63 line. The owners’ abrupt change of plans has resulted in her coming onto the market with very low hours, but diligent maintenance. She is in very clean condition, and with her overall equipment specification, including two generators, two watermakers, safety equipment, diesel heat, extensive electronics, cold storage capacity, and the proven Nordhavn standard specifications, she is ready for world cruising, or simply spending days hanging out in a beautiful locale, in self-sufficient fashion. Perhaps, in the ideal escape module. United Yacht Sales New Jersey would love to guide you through a personal showing of this 63' Nordhavn 63 2015. This yacht for sale is located in Seattle, Washington and priced at $2,125,000. For a showing please contact us by filling out the form on this page and we will get back to you shortly! Olympia DL-105, 105,000 Btu Diesel Hydronic heating system, includes Everhot water heating, waste heat exchanger on main engine, and various fans units throughout the interior. Fan units are positioned low for logical dispersion of heat. The Olympia is built largely of US domestic parts, most of which can be sourced from the Grainger catalog, among other sources. Seafire FD 1300M fire suppression system installed in engine room, with shut down for main engine, generator and blowers. Also equipped with manual pull cable (inspection current as of October 2017). 20kW 240-volt 60hz Northern Lights primary generator installed in sound shield in the engine room (101 hours). Includes Gen-sep exhaust system for very quiet exhaust, providing comfortable sound levels onboard, and won’t make you the villain of the anchorage. Shorepower inlets on forward face of Portuguese Bridge for 220v ship’s service, dedicated air-conditioning service, and 120-volt 30-amp ship’s service. The AC Electrical System The AC electrical is 240-volts 60hz and 120-volts 60hz. The AC 240-volt power source can be from shore power connection or generator output. 120-volt output can be from the 30-amp shorepower connection on the foredeck, 240-volt shorepower connection through the balancing transformer, or from inverter output. The DC Electrical System The DC electrical system is 24-volts, except for one 12-volt buss in the pilothouse sub-panel for some NavCom equipment only operating at that voltage. The 12-volt buss is serviced by a 24-12-volt converter located in the pilothouse. 800 gals. of freshwater in one fiberglass tank. The interior surface of the tank is laminated using food-grade gelcoat, and is very smooth. The tank is fitted with a large inspection port to enable a normal size man to enter the tank should it require cleaning. Both black and Gray water tanks may be discharged through the deck by dockside vacuum service, or through the hull via Y-valve to a T24 24-volt DC Sealand electric vacuum pump and whale manual pump for each system. Large foredeck for tender storage. Enough space for two tenders. Settee aft of pilothouse – most often in the lee when at anchored. There is additional space for a table and chairs. Switlik SAR-6 Transoceanic Raft mounted in cradle pilothouse roof with hydrostatic release. Raft is certified to 2021. Pacer hydraulic 180 gal/min. emergency pump working from hydraulic pressure integrated into the ABT stabilizer hydraulic system. The boat is currently set up with wheelhouse inventory system for re-supply of spares and maintenance parts. The system would require new owner to re-register with wheelhouse.